Immigration and cannabis legalization have been two hot button issues within the U.S. political arena recently. The majority of the discussion surrounding these issues has been mainly focused on that of legalization in America and immigration from Mexico. But there has been a disturbing story regarding both travel bans and cannabis legalization involving our neighbors to the north. Canada has recently legalized the plant medicine nationwide, becoming only the second country in the world to do so. 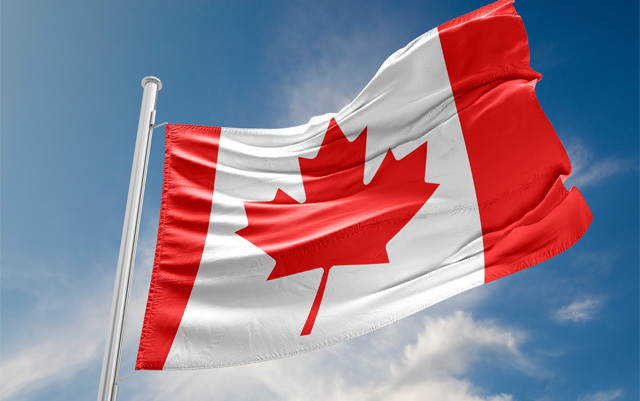 Naturally, this brings along with it a boost to the legal industry, and Canadian cannabis professionals will understandably want to do business with some of their American counterparts. That’s what Jay Evans, CEO of Keirton Inc., and his two colleagues intended to do recently. Evans told Star Metro Vancouver that he and his colleagues planned to travel from Canada to the U.S. for a meeting to discuss a device that aids in the cannabis production process. “We had not yet designed the product, we had not yet marketed the product, and we’d not yet sold the product,” Evans said. Upon telling U.S. Customs and Border Protection agents that they work in the legal cannabis industry, but not directly selling or distributing the plant in any way, they were allegedly detained and interrogated. “During routine questioning, one of the three men mentioned their design would eventually be used in the Canadian cannabis industry, and they were immediately taken into the secondary inspection facility for further scrutiny,” the story claims. The article again points out that even though the three men aren’t directly involved with the cannabis sales, they were labeled drug traffickers. “Keirton is not involved with the production, distribution or sale of cannabis. But because its equipment is explicitly intended to be used by people who are, Evans and his colleagues were told after a six-hour interview they were ‘drug traffickers’ according to U.S. federal law,” the article says. After the interrogation concluded, the three men were allegedly issued lifetime bans that forbid them from entering the U.S., according to the story. At this time, we don’t have definitive proof that these Canadians were banned from entering the U.S. for simply intending to discuss the manufacturing of a device that would be used for producing cannabis. However, if any part of this story is true, it is rather disturbing, especially if the part where they’re banned for life turns out to be anything but hearsay. Medical cannabis is legal in 30 U.S. states and D.C., and recreational is legal in 9 states and D.C. For these men to be label drug traffickers, if true, is absurd, and highlights the ongoing issues we still face when it comes to the U.S. federal government’s antiquated stance on cannabis. Next articleWill North Dakota Legalize Marijuana for Adult Use?